Genuine OEM Lexmark Toner Cartridge, Magenta 1,500 page yield. 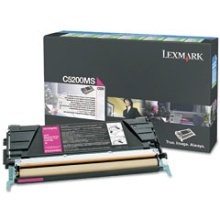 Lexmark part number: C5200MS, C5202MS. Color Laser Toner Cartridge compatible with Lexmark C520, C530.